Today we are going over several more of the stylistic traits that make David Gilmour a standout guitarist in the classic rock genre. Every guitarist has their favorite phrases and David Gilmour is no different. I’ve heard this lick pop up in his playing several times over the course of his career. David Gilmour has a myriad of ways he expresses himself, not the least of which are his bending techniques which I have notated here. 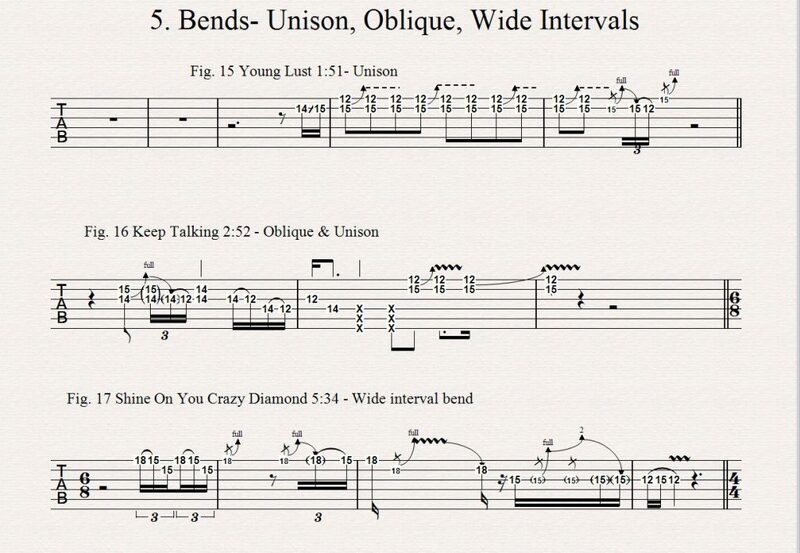 A hallmark of Gilmour’s playing, rakes are a constant in his solos. 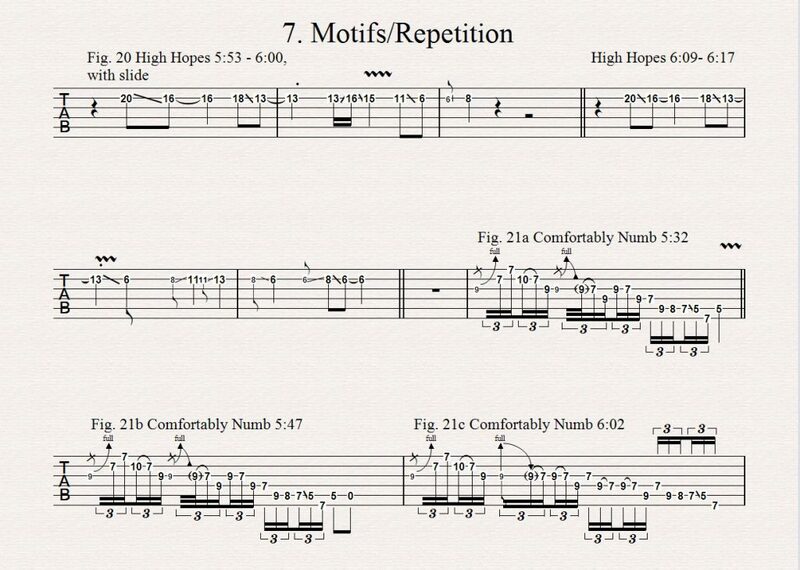 This technique adds emphasis to notes via the percussive nature of the sound it creates. David Gilmour’s use of this technique is all over his solos. This is part of the charm that makes his solos so memorable. If it sounds good once it will sound good again. For this technique you will need a floating tremolo unit to vibrato the way Gilmour does. A floating trem. makes one able to pitch above and below the target note creating a nice even vibrato. I go through methods on how to set up a Stratocaster tremolo in this video that will help keep it in tune. Anyway, video is below. Thanks for stopping by and stay tuned for more free lessons!